Defoe was a prolific novelist and journalist whose writing is noted for its factual basis and common sense approach to problem solving. He was born Daniel Foe but changed his name later in life and also wrote under the pseudonym Andrew Moreton. He was the son of tallow chandler and Dissenter Henry Foe and was educated by the Presbyterian Church at a private school in Dorking. Because of his father's politics, he could not gain acceptance to the more prominent schools, Oxford and Cambridge. The academy he attended at Dorking was kept by Reverend Charles Morton and provided a diverse curriculum. While classical learning was not his strong suit, Defoe read extensively in the areas of modern history, civil law, geography and political economy. His writing was uncluttered and unpretentious but vigorous in tone and style. By 1679 Defoe was still destined for a ministerial role, but the next two years led him to a change of direction. He became a merchant and began selling hosiery, a career which later came back to haunt him when his detractors dubbed him the sock salesman. Haberdashery, wine, brandy, wool and real estate were quickly added to his list of products but he began to speculate far beyond his means. 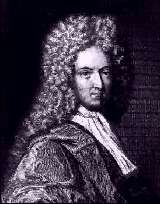 In 1684, he married Mary Tuffley, who brought with her a considerable dowry. While some might speculate the dowry was a motivating factor for the marriage given Defoe's financial status, the successful marriage lasted through more than fifty years and seven children. When the duke of Monmouth led a battle against the Roman Catholic king, James the second in 1685, Defoe spent considerable amounts of his own money and time in support of the conflict. However the effort failed and he was forced into a transient lifestyle to avoid capture by the authorities. From 1687 to 1688, the battle against the king continued on a more covert level in the form of a mudslinging campaign, as Defoe anonymously published several pamphlets criticizing the king. The war against France struck a deathblow to Defoe's business ventures. He had expanded to include the insurance of ships but the war caused the sinking of many ships and many of his more lucrative European markets were cut off. Defoe was eventually forced to declare bankruptcy. In an effort to add distinction and make himself appear more important, he added the letters De in front of his name in the manner of the French. Shortly after, he acquired a tile factory and turned his hand to writing longer works. His first piece, An Essay On Projects, describing systems for improving trade and commerce, was published in 1697. Defoe was imprisoned in 1702 for publishing The Shortest Way with the Dissenters. As a consequence, he was unable to manage his tile business and it failed before he was bailed out of jail in 1703 by Robert Harley, a Tory minister. Harley's motivation is somewhat suspect since Defoe had always been an opponent of the Tories. Freedom evidently came at a price; Defoe was soon working as a writer and propagandist for the Tory party. In 1719, at the age of fifty-nine, Defoe wrote his most famous work, The Life and Strange Adventures of Robinson Crusoe. On the surface, it is a story of a sailor shipwrecked on a tropical island attempting to overcome the hardships of the island. On closer examination, it is an expression of Defoe's foreshadowing of the rise of the middle class democracy. Throughout his life as a writer, Defoe's writing always reflected elements of truth and his telling of events were always sober and moralist. He had worked as a writer for both the Tory and Whig political parties and by 1720, was working for both at the same time. The politics he supported at the time occupied the middle ground between the two parties. The detail that Defoe imparted to his fictional works gave his stories the impression of truth. He continued to write and achieved a high degree of popular success. Unfortunately, the financial rewards were not substantial and he died with little money to his name.